In a conventional Forex Trade market, middlemen and brokers are used to carry out all the transactions. They usually charge a certain commission or a cut for these services. The fee is the difference between the asking price for the trade and the bidding price. This is what is known as the ‘spread’. You can look at this like a buffet spread which is what is offered to you. 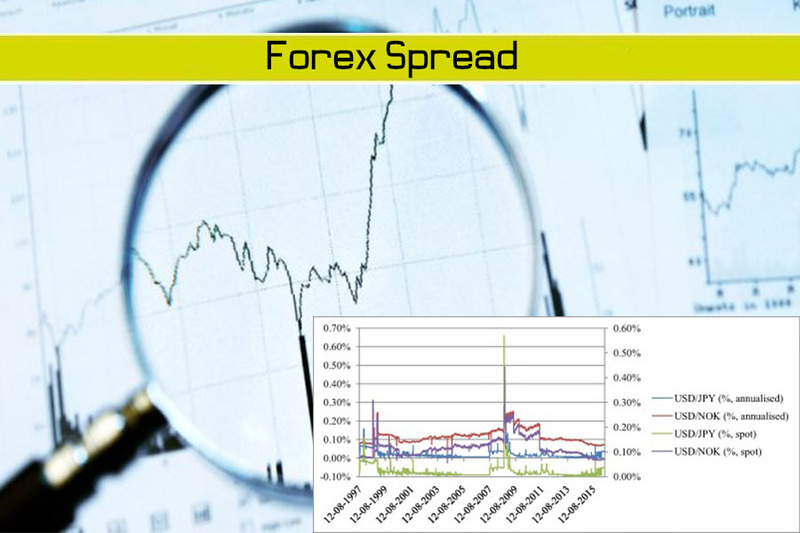 To understand fully how a Forex Spread works, you will need to know how the trade is structured. Unlike traditional share market structures, the Forex Market is substantially different. For once, trading in stock exchanges are carried out in a physical environment while the Forex Market can be done in the virtual platform. This is very much like the over-the-counter market where smaller stocks are traded facilitated commonly by market-makers who are somehow specialists in the respective segments. For example, the seller might be in New York while the buyer might be somewhere in Australia while the market-maker could well be in Tokyo. This role is important because he will make sure that the buy and sell orders of the respective currencies are adhered to. In other words, the market-maker or the specialist will be involved in finding a seller for the buyer and the buyer to a seller. As such, there is some risk involved here. The specialist will accept a buy order at a certain price but he needs to do this very quickly. This is simply because the longer he takes to find a seller, the bigger the change of the actual value becomes. At the point of accepting a seller, the offer price will maintain regardless of what the actual market price is. If there is a change in value, the specialist will bear the cost if the value is higher than his offer. If it is lower, he profits and that is what he retains (thereby the spread). How Significant is the Spread? In Forex Trade, the rule of the game is to trade in volume. For the specialist, the more trade he enters into, the more significant his spread becomes. That can be relatively high considering that the buyers and sellers will want to earn as much as possible. To minimize the cost of spreads, it would be most ideal to trade during good trading hours. This involves the hours when there are many buyers and sellers active in the market. When there is a large number of buyers and sellers for a given currency pair, the competition goes up and specialists will use this window to capture the spreads. Another issue that must be considered is to avoid trading currencies that are too thinly traded. The idea is to go for highly traded currency pairs because there is competition for the business among the specialists. A Pip is a term used to measure the amount of change for a currency pair’s exchange rate. In Forex trading, currency pairs are usually displayed in 4 decimal places which means that one Pip is referred to as 0.0001. This is most common in most currency types except for the Japanese Yen currency pairs which are usually displayed in 2 decimal points which in this case, the Pip is 0.01. Spread exists in every market and this is the same with the Forex industry. In simpler terms, a Spread is the price difference between the point of purchase and selling of a particular asset. In the equities market, a Spread is commonly referred to as the Bid. Example of how a Spread is calculated is explained below: The buy price for USD-EURO pair is say 1.35400 while the sell price is 1.35350. The buy price will subtract the sell price which results in 0.00005. As Pips are defined through a 4-decimal point number, the final spread is thus 0.5 pips. This means that the forex broker will allow you to buy the currency around the pip figure. In most cases, the Spread will linger around the actual price that the broker needs to pay which means that you will get one end of the spread when you buy and the other when you sell. This is to ensure that you have paid for the Spread each time you trade any currency, thereby ensuring that the forex broker do not need to incur any additional costs for your transactions.